Skiddaw House in the Lake District National Park is England’s highest and most remote youth hostel. It’s truly amazing – you can only get there on foot after a 3.5-mile mountain hike, and you have to carry in pretty much everything that you need for your stay. The endless horizons and dark skies, for a start – you’ve never seen so many stars – not to mention the stunning scenery in one of the UK’s true wild places. 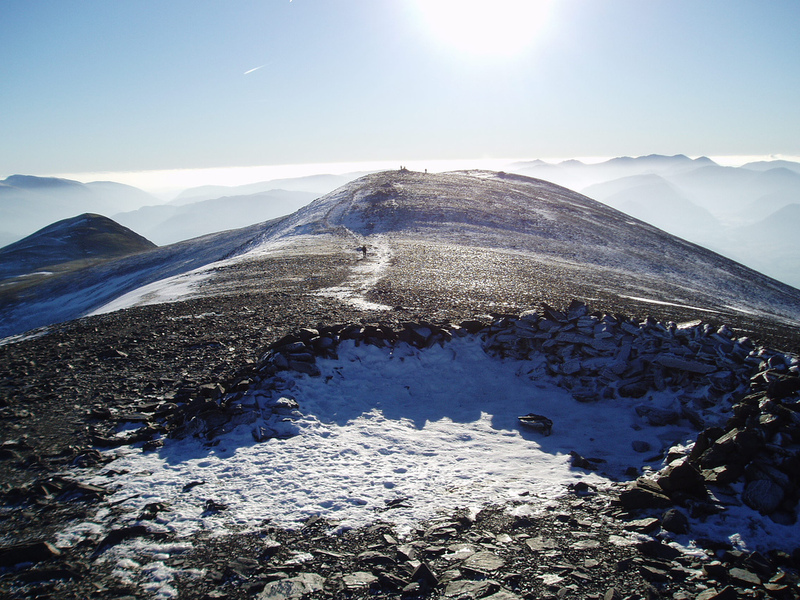 It’s located around the back of Skiddaw, an iconic Lake District 3,000-footer of a mountain, and the walking opportunities are fabulous. I first visited several years ago – seeking out places to include in a new Rough Guide to the best budget places to stay in the UK. I didn’t know what I was letting myself in for, but I loved the experience – basic and frill-free though it undoubtedly is. There are a couple of solar-warmed showers, some low-level lighting and basic cooking facilities, but otherwise Skiddaw House is a real back-to-nature, off-grid experience. No TV, no mobile phone signal, no mains electricity – but a furnace of a wood-burner, hot-water bottles for guests, and a piano for evening sing-alongs. I also got to know the resident wardens, Marie and Martin, who have been here since 2007. They’re really special people – to live so happily in this remote, back-country location – and they’re very much a part of what makes Skiddaw House unique. I’ve been back a couple of times since that first trip, but I’ve always struggled to do Skiddaw House justice when it comes to describing its atmospheric location and singular attraction. So on my last trip there, I decided to make a movie. The spring weather was challenging, to say the least, and the horizons were brooding rather than sparkling, but I hope you get a sense of the sheer majesty of this part of the world. Ready for a Lake District micro-adventure? Then sit back and enjoy our trip to Skiddaw House – England’s most extraordinary youth hostel. Want to read more about the Lake District? Here’s my pick of 5 great Lake District pubs – all tested personally! Hi Jules – I loved this short video on Skiddaw House. The views and atmosphere were truly evocative of the English Lakes. The weather was exactly what you’d expect in the Lakes too! Thanks Janet! It does seem to rain a bit, but to be fair I have had some amazingly sunny days up mountains and on the water in the Lakes. Fingers crossed for my next trip in summer when we try out a yurt on the shores of Windermere. No problem – you should definitely go, it’s great! Say hi to the wardens Martin and Marie if you do!